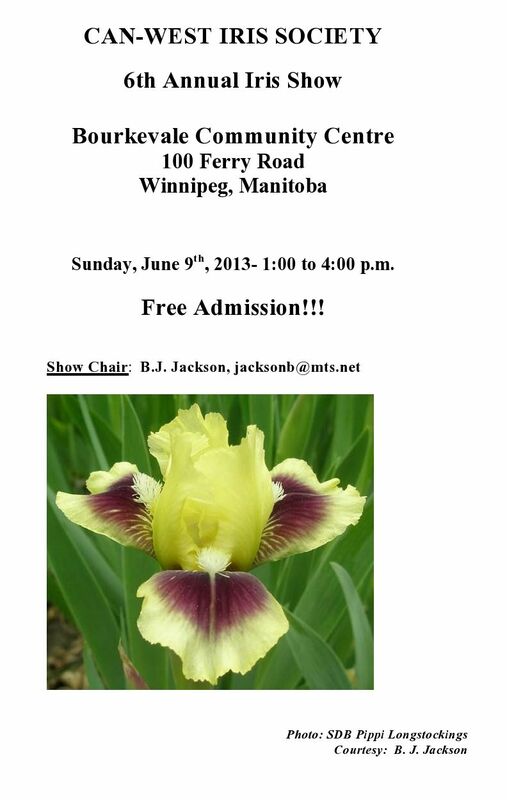 The Can-West Iris Society has the last of the Region 21 Affiliates Iris Shows, at least that I’m aware of, this Sunday, June 9th, 1 – 4 p.m. at the Bourkevale Community Centre, 100 Ferry Road, Winnipeg, Manitoba with free admission. Details are on their website (PDF). This entry was posted in Events and tagged Affiliates, event by wrmesser. Bookmark the permalink.